Item # 308996 Stash Points: 1,999 (?) This is the number of points you get in The Zumiez Stash for purchasing this item. Stash points are redeemable for exclusive rewards only available to Zumiez Stash members. To redeem your points check out the rewards catalog on thestash.zumiez.com. 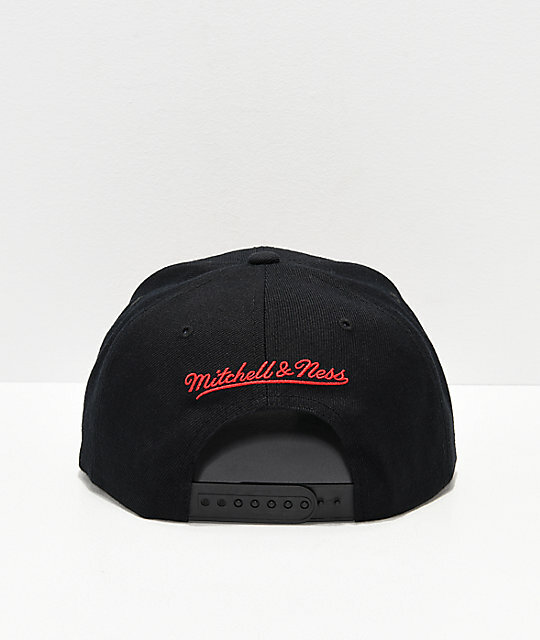 Well known for their authentic sportswear and memorabilia, Mitchell and Ness present their classic Bulls Black and Red Snapback Hat now available for Zumiez customers worldwide! 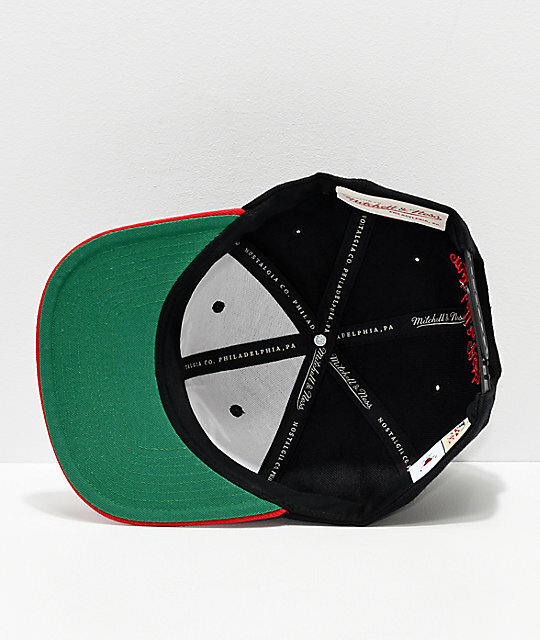 Embodying a classic snapback silhouette, this accessory features a straight bill, unstructured crown and Chicago Bulls script embroidered across the front. 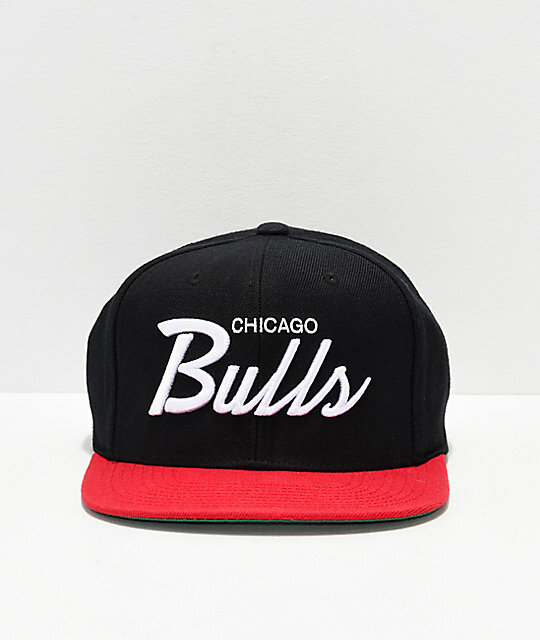 Bulls Black and Red Snapback Hat from Mitchell and Ness. 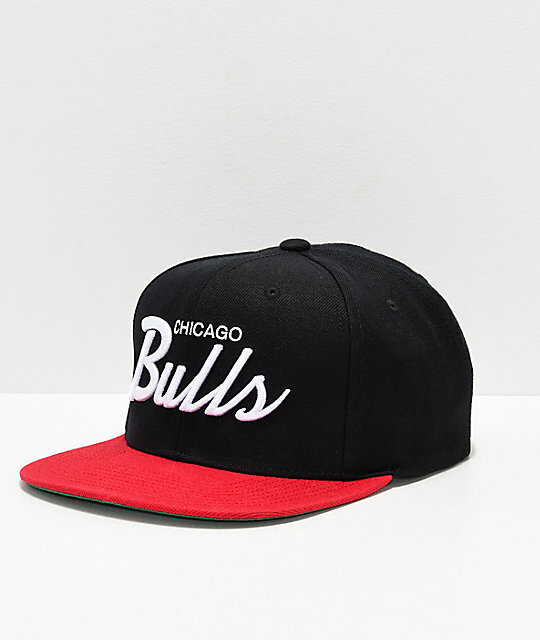 Embroidered Chicago Bulls script on front crown with brand logo script on back. Straight red bill with classic green underside.